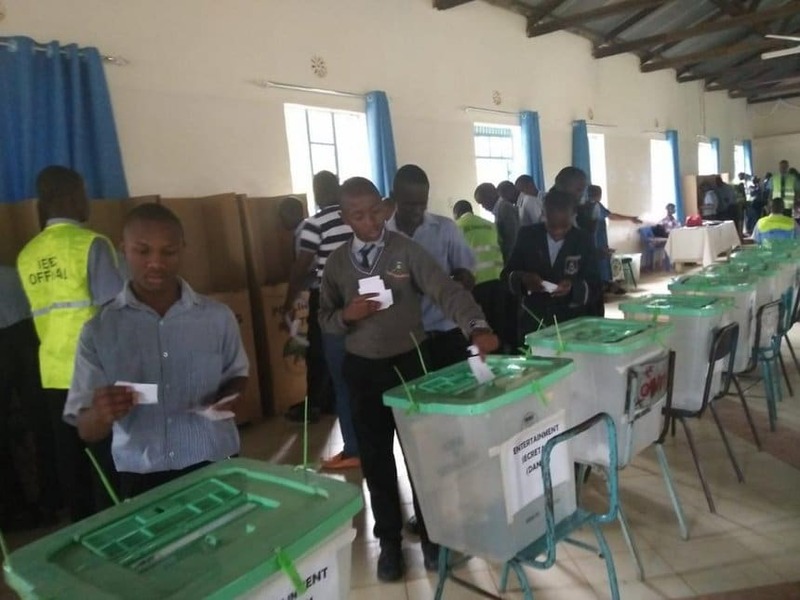 Makueni Boys High School on Saturday had its student council elections conducted by the Independent Elections and Boundaries Commission (IEBC). According to commissioner Ibrahim Guyo, the free exercise was some sort of a CSR exercise as the school was their county tallying centre. “The School being our County tallying Center we felt there was a need to give back to the school,” said Guyo. Form four students were trained as clerks and presiding officers. The School Principal Raphael Diwani noted that the partnership was as a result of students complaining that the exercise has in the past been unfair. “Initially a majority of the students felt that the teachers were imposing student leaders on them by manipulating the results and that why this year we felt that we should conduct an independent body,” said Diwani. The hotly contested seat was the Student Council Chairman which attracted two candidates; Morris Musee and Eric Mumo Musyoka. Mr Diwani also said that the school supported the candidates in making campaign posters in the three day campaign period. Previous article World Cup Tidbits: Did You Know Fifa And Not Russia Will Make Profits From Tournament? World Cup Tidbits: Did You Know Fifa And Not Russia Will Make Profits From Tournament?